Telecom operators have long wished to move beyond basic voice and messaging, best-efforts broadband and (sometimes) TV, but success has been elusive. It is true that connectivity is a means to an end – and that end is the variety of applications, content and experiences that the network enables. In my FASP4 framework, I call this mix of Applications/Content/Experiences the “A.C.E.” (Ace) layer. Following my posts on the economics of the Place and Space layers of the FASP4 framework, this is an introduction to the main economic and business characteristics of the ACE layer. I’ll spend future posts exploring the so-what, but for now let’s agree on the fundamentals. At its heart, this business is about innovating new end-user value propositions. It’s about developing outcomes that customers desire, whether for educational, commercial or recreational purposes. It’s a scale business. Investments will be often be fixed in nature, so the more customers, the better the economics. Value comes from richness and reach of your offering. Almost all ACE businesses have these two aspects. Even in old analogue telephony, we saw richness (“4kHz voice quality) and reach (“the entire PSTN”) at play. Competitive advantage comes from being the first to achieve scale in your target product category. It’s a high innovation business. Products can come and go within a 2-3 year window, and often on an even shorter basis. It’s a high risk business, although for some categories the overall investment levels can be low so this mitigates things somewhat. The main risk is that other players in adjacent service categories commoditise your offering; bundling it for free for example in order to drive their own product). The cost drivers are content rights, marketing and product development, which are largely fixed costs. Marketing is particularly important given the need to reach scale – and in a noisy and competitive world of Internet applications it is harder than ever for ACE players to get their voice heard. Marketing can also be spent on a variable cost basis (per user acquired) – though this kind of activity I consider more of the role of the “Face” layer (see forthcoming post). (Most “ACE” players have a lot of activity at the “Face” layer too of course – given the importance of building scale). You are selling a unique mixture of richness and/or reach. Richness is the product functionality, and reach is the ability to interact with other products, services, devices and users. For example, a new product may be highly functional but narrowly focused solution (richness-focused), or it could take an old idea and give it a compelling new social or mobile element (teach-focused). So there are two metrics for success, one relating to reach and one to richness. Whilst ‘users reached’ is the obvious one, given the competitive nature of most ACE. markets, I would plump for ‘market share’ as giving the best view of strategic value. The second metric is ‘margin per user’. This is a measure of richness – user (or third-party!) willingness to pay for what is being offered. So, ACE is a scale business, where speed to scale using the levers of reach and richness is essential to survive in a high innovation context. App economics are very different from other layers of the FASP4 framework. Can telcos aspire to be strong in Place, Space and ACE layers? It seems unlikely. If “speed to scale” is the main driver of success in ACE businesses, is it any wonder that many telco efforts in this area have been unsuccessful? Think complex operational processes, and a restricted national/footprint focus. 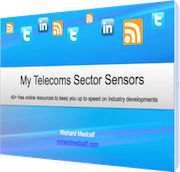 How can telcos exploit the “richness and reach” formula for success? If the Web offers the potential for “global reach” to every player, shouldn’t telcos focus on harnessing their unique platform (Space) to deliver services with differentiated richness? For example, rather than “online video”, something more like “online video that works even when your kids are gaming”? Do you agree with this overview of ‘app economics’ at the ACE layer of the FASP4 framework? What else would you add?